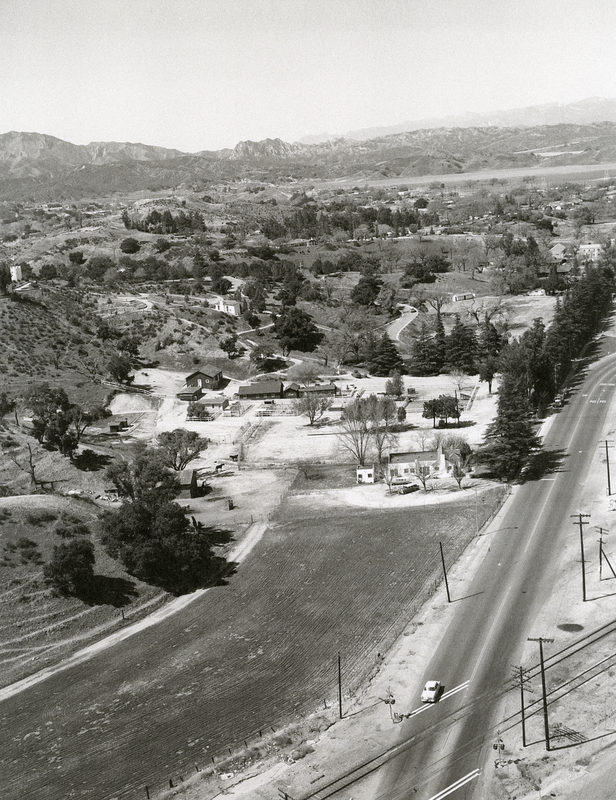 SCVHistory.com CP6301 | William S. Hart Regional Park | Aerial View, 1963. 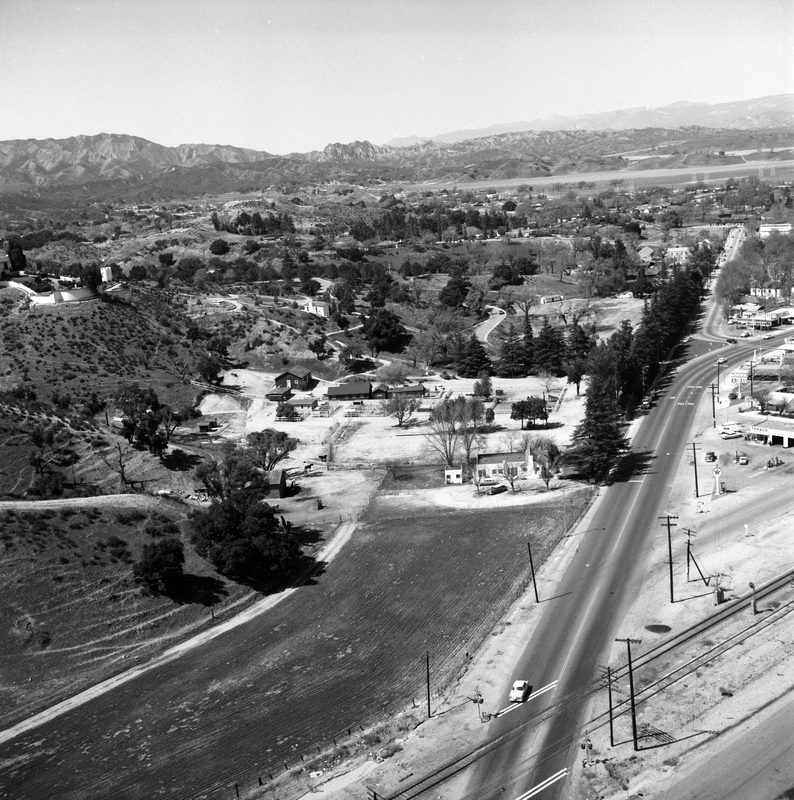 Aerial View of William S. Hart Regional County Park, 1963, looking north. Hart Park is a unit of the Los Angeles County Department of Parks and Recreation. Starting at bottom right, note there are two sets of train tracks. The street is San Fernando Road, renamed Newhall Avenue in 2008. The large open area at bottom is part of the "Frew property." It was not owned by William S. Hart but is a part of Hart Park. The SPRR Saugus Depot was moved to this location in 1980, followed by the Newhall Ranch House and the Pardee House, to become Heritage Junction Historic Park. The white building at center-right is the Tom Frew family home. This is the northern boundary of the Frew property. The dark structures in the center are Hart ranch buildings. Directly north of the Frew House is Bill Hart's Ranch House, where the actor lived prior to the completion of his mansion in 1927. It is obscured by trees in this photo. North of that, the public restroom building is visible. Halfway up the hill, the white building is Hart's bunkhouse. At far left is the turret at the entrance to the Hart Mansion. Following a horizontal line across, a portion of the 1925 First Presbyterian Church (construction started 1923) is visible at extreme right. Another version of same image. Click to enlarge. CP6301: 9600 dpi jpeg from 8.5x11-inch BW photocopy.